Whats all the fuss about THE C60? Whilst I have tested a lot of Colnago's over the years (C50, Extreme C, Extreme Power and C60) these tests have been short limited affairs. I wanted to put some real miles on one so I have ridden this beauty every day for 3 weeks now and feel confident to do a review. In short its sublime; very stiff, super comfortable and the handling is so precise. You can buy lighter C60s in the new raw carbon finishes which look great and have proved very popular. However I fell in love with Colnago in the C40 era and those ridiculously OTT paint schemes of the Mapei days. So art deco it was for me! I can also confirm that because the lacquer is so thick it holds up to wear and tear so much better than these super light finishes everyone is chasing to hit advertising claims. Although it weighs more than some competitors it never, ever 'rode heavy'. In fact the day after I got it I did a hilly ride in Kent which featured Toys Hill and Ide Hill. I actually set PB times over both those climbs on the C60. Granted I was just back from Mallorca and feeling good, but the frame will never be the limiter to your climbing. The overiding sensation it gives is one of 'solidness' - it feels like its been crafted out of oak, not plywood. Dig deep and push the pedals hard and it simply goes. The head tube stiffness is the best I have ever felt; climbing out of the saddle is a joy. 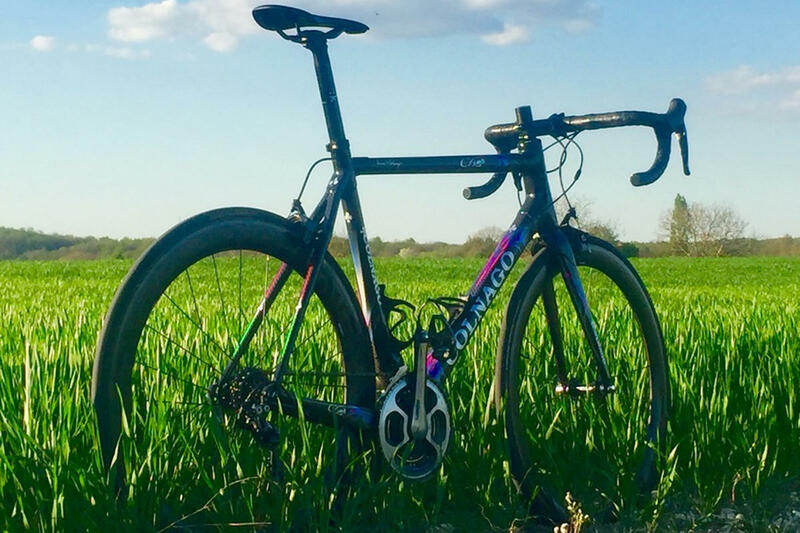 It definitely feels like a Pro bike; you get the strong feeling Ernesto designs these for his Pro clients and us amateurs are secondary to his considerations. Thus if you are very light and or not particularly strong then a C60 might be over built for you. You don't need all that BB stiffness. However for bigger chaps then the bike is a joy, and the extra 300 gms of frame weight are mostly an irrelevance. Colnago has have joined the press fit 'revolution'. However, they've developed a proprietary system that uses screw-in alloy cups to house the bottom bracket bearings (instead of the bearings going straight into a carbon BB shell). The Colnago approach is heavier, but it removes any creaking that plagues some bikes -the so called boomerang bikes that repeatedly plague workshops up and down the country. 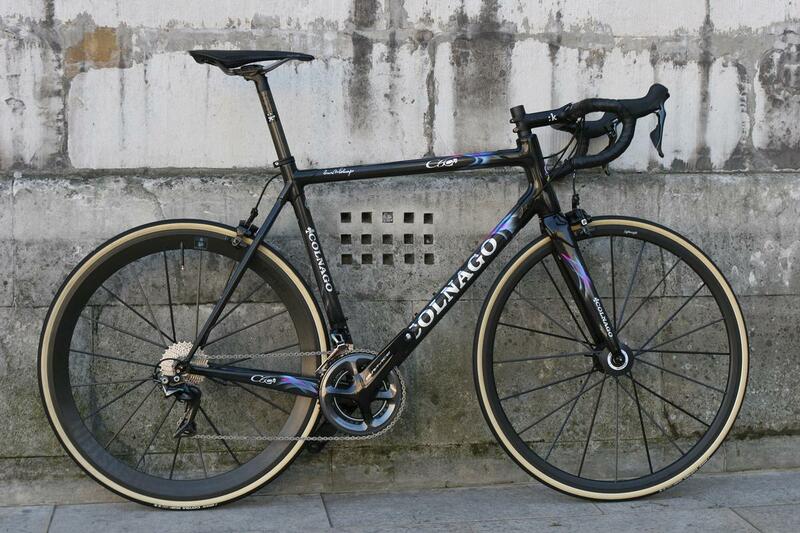 The Bespoke mechanics love the Colnago approach. A wider BB shell means the down tube can be wider as well, which further increases stiffness. If you look at at a C60 frame closely you will be amazed at the level of tube shaping and manipulation that has taken place. But for almost every other event a C60 would be sublime. Any 'normal' UK/Euro sportive, club run or something like Flanders. Hit a pothole with a C60 and it will carry on uninterrupted, do the same with some of its competitors and it will be making sounds that leave you convinced you have cracked a down tube. 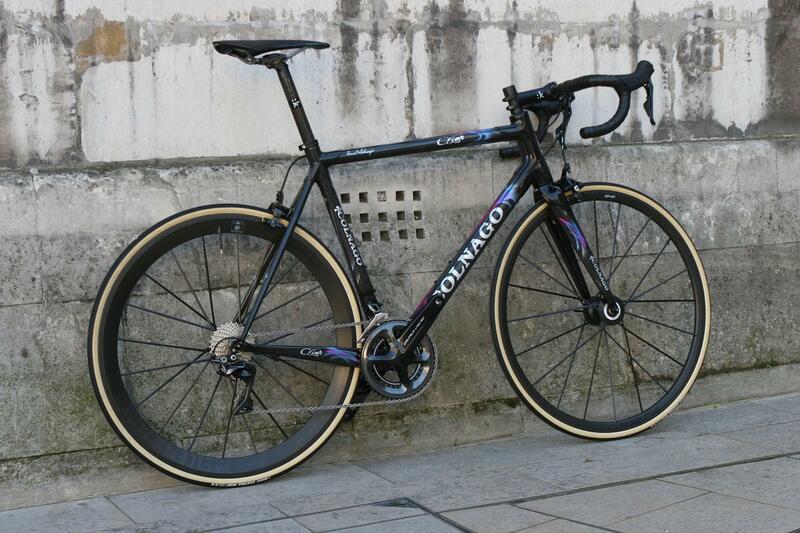 I am so glad Colnago have stuck to their guns and continued making frames their way. Its like the fantastic C59, but just better. Its lighter than a C59, stiffer than a C59 but still retaining that ride quality and handling that marks this out as a Grand Tour frame.